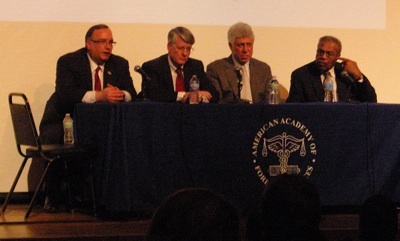 Forensic science cannot undo what happened to Emmett Till in 1955, but forensic science can turn back the clock and assist in achieving some sort of justice for his death, the president of the American Academy of Forensic Sciences said to a Chicago panel recently. 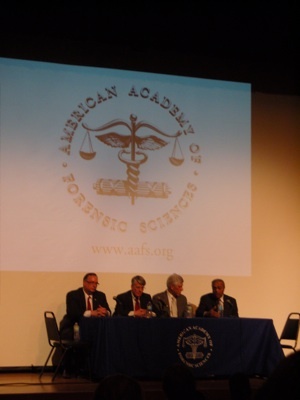 Joseph P. Bono, MA, current president of the American Academy of Forensic Sciences, opened a lecture that discussed the forensic efforts that went into identifying Till’s body and analyzing evidence to better understand one of the most famous murders in American history. The lecture, entitled “Emmett Till -- Forensic Scientists on the Case That Sparked America’s Civil Rights Movement,” was hosted in collaboration with the Chicago Department of Cultural Affairs on Sunday, Feb. 20 at the Chicago Cultural Center. A severe and brutal act of racial violence, the murder of Emmett Till in the 1950s was a shocking event that resonated with the entire country. Till, a young African-American, was killed in Mississippi for allegedly flirting with a white woman. To this day, Till's death has stood as a precursor to the nationwide civil rights movement. To illustrate this, Dale Killinger, the AAFS Past-President and FBI Supervisory Special Agent, described his being assigned to investigating the case years later, in hopes of gaining more concrete and irrefutable evidence of how exactly Till died. The difficulties that faced Killinger and his FBI investigation were steep, as no prosecutors, jury members, key witnesses, etc. from the murder trial were alive to provide help. Slowly, over time, Killinger and the investigators in his squad, were able to uncover bits and pieces of substantial evidence that revealed the true nature of the week in 1955 in which Till was killed. “We found a trial transcript, we found an alleged murder weapon, we found many things, many nuggets to facts,” Killinger said. “We are fact-finders. We seek the truth and we seek justice, and we may not have found justice in a way when you think of it, having a person in jail for Emmett Till, but what we did was we sparked a part of that civil rights cold case initiative that the FBI has today. Killinger admitted he had no knowledge whatsoever about Till at the time he was assigned the case, prompting him to visit the library and begin his research. Killinger recalled reaching out to a man who was an attorney in the late ‘50s and early ‘60s, and asking him about Till’s murder. Killinger recounted how this was his first true glimpse into the deep impact this murder has had on generations of people, especially African-Americans. Rev. Wheeler Parker, a Till family friend, gave personal accounts of how he traveled from Chicago to Mississippi with Till and the events that transpired while they were in the South -- one of the most gripping moments coming when Till was kidnapped right from the room in which Parker himself was staying. Parker stressed the importance of the Till case, which is certainly relevant even in this day and age. Parker also illustrated how right after Till’s murder, subsequent events occurred that combined to spark the civil rights movement. “Things really came together [after Till’s death], it was a conglomeration of Rosa Parks and other things that really snowballed and caused the civil rights movement and its beginnings,” said Parker. The third presenter of the evening was Ed Donoghue, Regional Medical Examiner at the Georgia Bureau of Investigation in Savannah, Ga. Donoghue discussed the historic case from a purely concrete forensic science standpoint. Donoghue’s presentation was in-depth and detailed, with visual aids projected onscreen to show autopsy reports and photos of Till after his body was discovered. This new analysis was key for medical examiners like Donoghue to investigate Till’s death thoroughly.